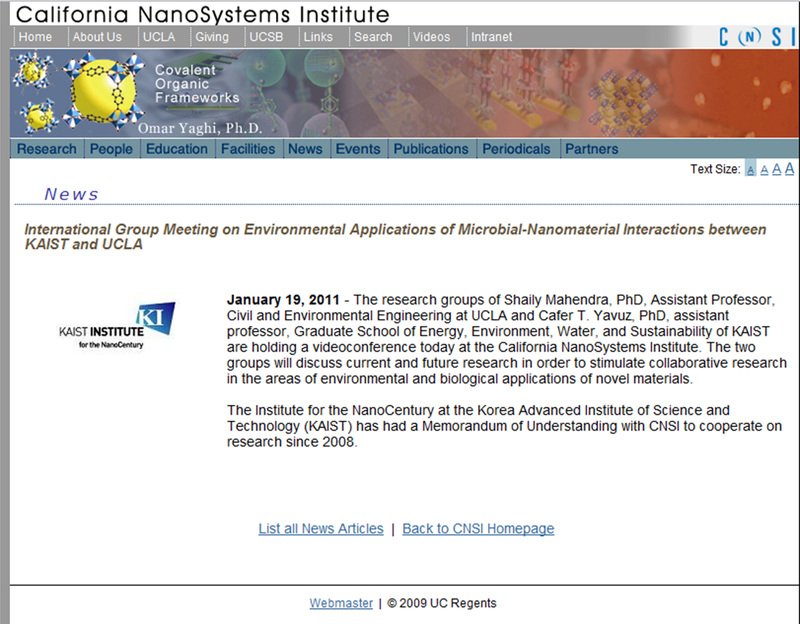 are holding a videoconference today at the California NanoSystems Institute. The two groups will discuss current and future research in order to stimulate collaborative research in the areas of environmental and biological applications of novel materials. 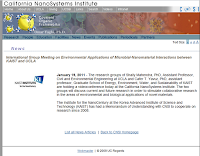 The Institute for the NanoCentury at the Korea Advanced Institute of Science and Technology (KAIST) has had a Memorandum of Understanding with CNSI to cooperate on research since 2008. Click here to access CNSI News segment.